Find the right tour for you through St. Catherine. We've got 8 tours going to St. Catherine, starting from just 10 days in length, and the longest tour is 20 days. The most popular month to go is September, which has the most number of tour departures. "Great tour. Super guide Sameh. Thank you for helping me realize a 45 year old dream!" "Sam was a very knowledgeable and entertaining tour guide. The trip would not have..."
"Very well organized tours in every sense.The 3 tours I did were great. 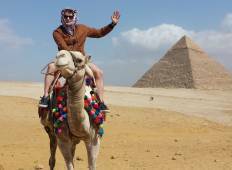 I can say..."
"One of the best trips I've ever taken and Sameh was a big part of that as a terrific..."
"The tour was well organised with a widely built itinerary. 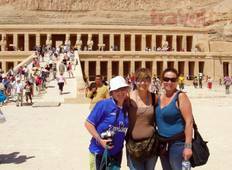 Accommodation mostly 4-5..."
"Absolute best way to see Eqypt with a mix of on the go and relaxing with Dahab at..."